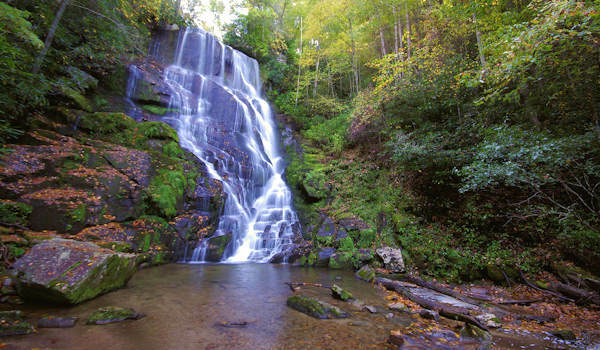 Eastatoe Falls is a beautiful 60-foot cascade on private property, practically in someone's back yard. But they welcome visitors (although there are no signs along the road). It's an easy 200 yard walk to the base of the waterfall. 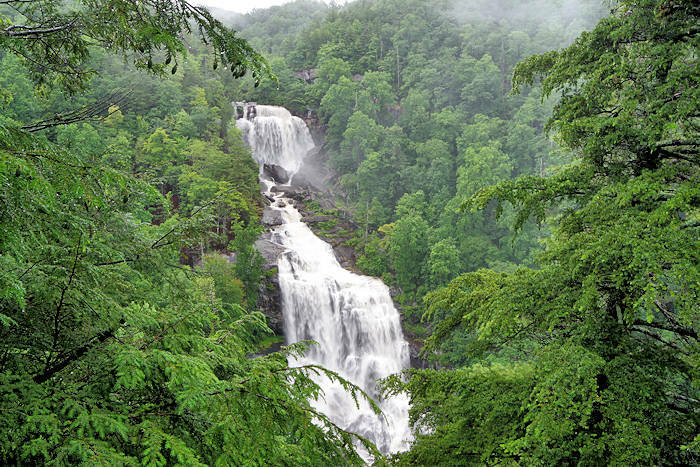 It's located near the small town of Rosman, about halfway between Brevard and Cashiers off scenic US Highway 64. Please respect the owner's private property and privacy by not visiting early in the morning or late in the day, letting pets run off-leash, blocking their driveway or littering. While the trail is not marked from the small parking area behind the house, just follow the yard straight back to find the trail. You can usually hear the waterfall from the parking area. "Eastatoe" was the local Cherokee word for the Carolina Parakeet, and was the name of a local tribe of Cherokee. Directions: Located 12 miles west of downtown Brevard. 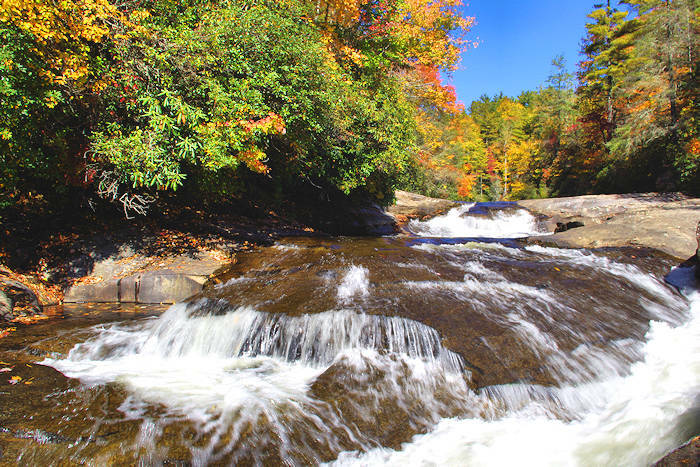 From the intersection of US Highway 64 and US Highway 178 in Rosman, take US 178 south for 3.4 miles and turn right into the private driveway (look for "Mountain Meadow" sign). Drive past some ponds and circle around the house to park in the back (look for parking signs). 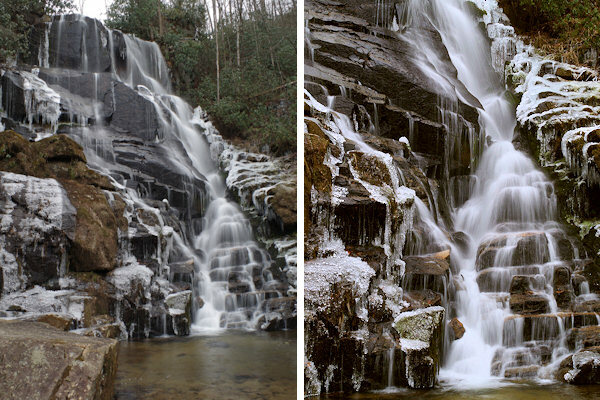 About 12 miles away is French Broad & Cathedral Falls. 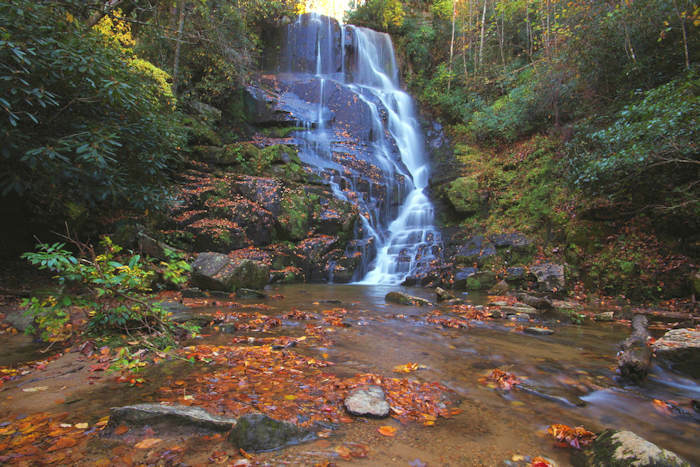 18 miles away is Courthouse Falls. 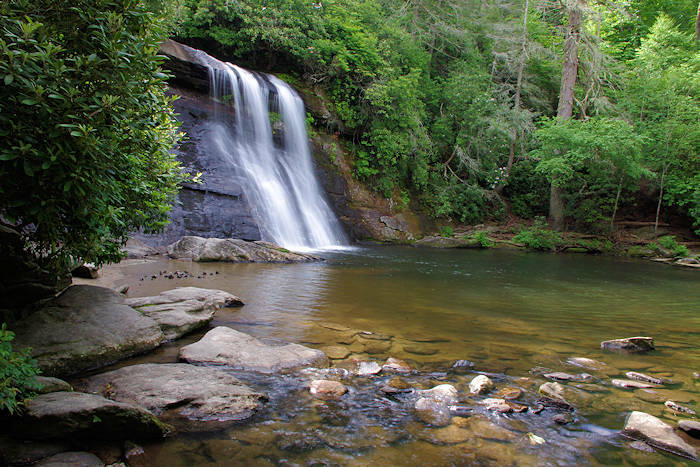 15 miles away is Rainbow Falls and Gorges State Park and it's 22 miles to DuPont State Forest waterfalls.